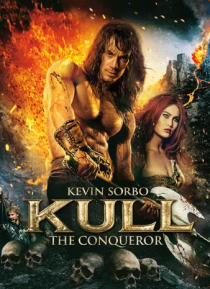 After five years as a slave, warrior Kull (Kevin Sorbo) travels to the shores of the fantastical kingdom of Valusia, where he slays mad King Borna (Sven-Ole Thorsen). Inheriting the crown, Kull begins an ambitious program of bringing freedom and tolerance to Valusia, which displeases Gen. Taligaro (Thomas Ian Griffith) and the royal court's advisers. Determined to unseat Kull, Taligaro has a wizar… d resurrect the witch Akivasha (Tia Carrere) to seduce and destroy the new monarch.